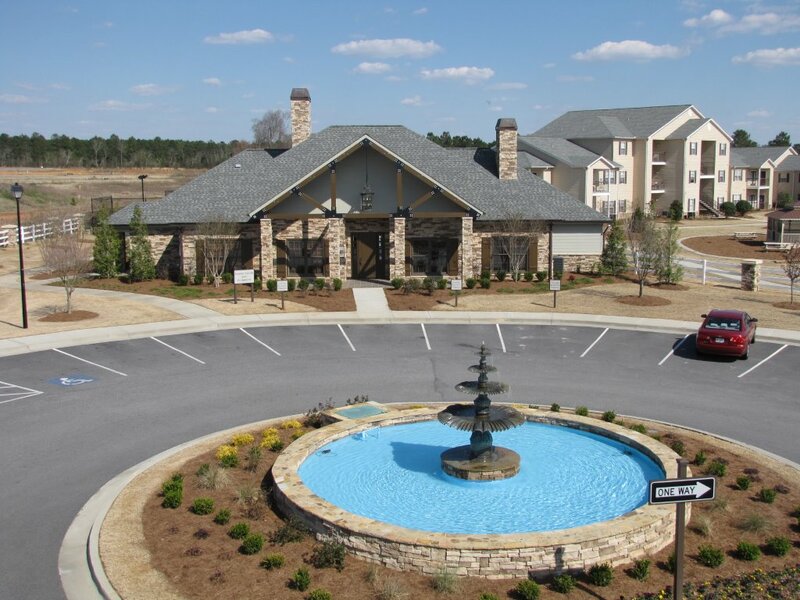 Houston Lake is a Class A apartment community located in Warner Robins (Kathleen), TX. Houston Lake was constructed in 2007 and is comprised of 300 units. The property contains a clubhouse with community room, resort-style pool with sundeck, fitness center, tennis and basketball courts, laundry facility, private access gates, car care center, outdoor grills with picnic area, children’s playground, walking trail, 60 detached garages, and 611 open parking spaces. Consisting of 18 two and three-story residential buildings and a community center with Vinyl Lap Siding, Houston Lake spans 25.75 acres and has a combined gross building area of 342,082 square feet. All buildings have pitched roofs and all units have individual HVAC and hot water heaters. Houston Lake has an attractively distributed unit mix of 64 1BD units, 160 2BD units and 76 3BD units. Units include a fully equipped kitchen with black appliances, washer and dryer connections, breakfast bars, double stainless steel sinks, modern lighting packages, plush carpeting, large walk-in closets, crown molding in the living room and kitchen, six panel doors, built in medicine cabinets and double french doors. Vaulted ceilings with crown molding and private patios are included in some units.